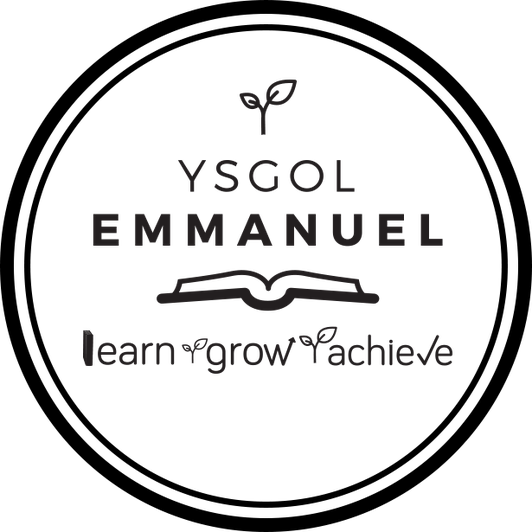 In Ysgol Emmanuel we have many activities and sessions in which all our parents are welcome to attend. We have our regular coffee mornings, baby and toddler group, and our termly Parent Voice and F.O.Y.E meetings. We also liaise frequently with Communities First to help us put sessions and courses on for parents. *Cooking on a Budget* sessions courtesy of Communities First. Thanks for all your interest we are looking forward to it beginning on Friday 5th May. Further details regarding this have been provided to all who will be attending. Coffee Morning provides parents, carers and family members with the opportunity to discuss what's happening in our school, meet other parents and raise any queries/concerns or positive feedback regarding the school they may have. Who comes to Coffee Morning? Our coffee morning is open to all parents, carers and family members of our pupils at Ysgol Emmanuel it is run buy our Parent Liaison Officer Miss Weir. Parent Voice is a meeting which we have once every term with our Parent Liaison Officer Miss Weir and our Headteacher Mrs Matthias. This meeting aims to discuss different events and potential changes occurring in our school. Parent Voice aims to be both informative and positive, in an environment which is both friendly and informal. Every meeting we have an agenda to go through and discuss, we ensure this is done so in an appropriate and constructive manner. Many laughs are had in our Parent Voice meetings and we appreciate all the input we receive from our dedicated parents. Parent Voice also provides all who attend with the opportunity to raise any queries they also may have and we aim to ensure that we answer any questions to the best of our ability! -We cannot highlight enough the importance of your feedback and how much it is valued and appreciated. All parents, carers are welcome, to see when our next Parent Voice is, check out our 'Latest News' section! * Please be aware that Parent Voice is not to be used as a means to discuss any individuals in our school or to discuss your own child. We pride ourselves on having an 'open door policy' in our school, therefore parents have many opportunities and ways in which they may communicate any concerns they may have regarding their child in a constructive way. Parent Voice is usually in our school café, you will see prior to a Parent Voice meeting, posters, leaflets and information on our school Facebook and Twitter page. We ensure that Parent Voice is held with respect to drop off and pick up times of your children. Who comes to Parent Voice? Parents and Carers of our pupils, all are welcome! F.O.Y.E is a collective group of parents and carers, who all work together in raising money for our school. This is done by arranging non school uniform days, Christmas and Summer fayres, Mothers day stalls and so on. Members of F.O.Y.E are a huge asset to our school and their time and dedication is extremely appreciated. F.O.Y.E not only help raise funds for our school but also provide ideas in where the money needs to be spent at our school. F.O.Y.E is held in our parent meeting room and is arranged to fit in with drop off and pick up times. Leaflets, posters and reminders via our social media pages (Twitter, Facebook and website) and text messages are sent with further information and details of the meeting. All members of F.O.Y.E. We also welcome any new members that wish to attend our F.O.Y.E meetings! EmmanuelFit is a fitness programme that is designed to bring the Emmanuel family together and improve our health and fitness. Every Monday morning from 8:45am, for just £1 a week, you can join us on our health and fitness journey. Every week you can get weighed (you would weigh yourself and log your progress in your own personal weight diary. This diary is yours to keep. ), you can participate in a half an hour gentle exercise class and then enjoy a hot drink and healthy snack in our very own Ecafé while planning a healthy take home weekly menu. Your children are welcome to join you on this programme. All of the activities are optional, you can participate in as little or as much as you'd like. EmmanuelFit is held within the school where you will utilise the schools different facilities. EmmauelFit is open to all parents, carers and family members. What are Nursery Parent Workshops? Nursery Parent Workshops are a chance for the parents/carers of our nursery pupils to come and join them in the classroom. You will get to join in and observe some of our Nursery activities. These workshops are held during your child’s morning Nursery sessions only between 9am - 10am. They run for a period of 5 weeks for each class. This is a great bonding experience for young children and can also help them settle in to the school environment well. Where is Nursery Parent Workshops? The Nursery Parent Workshops are held within the school in our Nursery classroom. Who comes to Nursery Parent Workshop? Nursery parent workshops are open to parents and carers of our Nursery pupils. What are Reception Reading Workshops? Reception Reading workshops are an opportunity for the parents/carers of our Reception pupils to come in and spend some time reading with their child. This can help boost a child's confidence with reading as they may feel more comfortable reading to someone they know. These workshops run during the school morning between 9am-10am twice a week for a period of 5 weeks. Where are Reception Reading Workshops? The Reception Reading Workshops are held within the school. Who comes to Reception Reading Workshop? Reception Reading workshops are open to the parents/carers of our Reception pupils.